This convenient and often inexpensive education route requires students to have a basic knowledge of computer and internet skills and be able to communicate effectively through writing. Due to the remote nature of online learning, students should also be independent and self-disciplined, as they’re often expected to manage their class schedule and meet deadlines without an in-person reminder from instructors. In considering online learning options, it is important to note if the school is accredited, signifying that a school meets education standards set by a board or government. The U.S. Department of Education has a searchable database of accredited postsecondary institutions and programs, which is a reliable way to check if certain online learning programs are sources of quality education. Reputable online education programs of all levels — from kindergarten through post-secondary education — can be valuable sources of learning that provide greater access to students in a more affordable way. As many as 1 million children are already participating in K-12 online learning programs in the United States. The potential for online learning to reach more young students and provide them with academic courses that meet their specific needs paints a successful picture of the impact of online learning on the education system. More and more school districts are offering distance learning options that include tutoring or blended-learning courses (a combination of online and in-person learning). Offering these online programs involves the support of local, state, and federal policymakers. Currently, 27 states offer statewide online courses. K-12 students who can access these offerings are immediately provided more options to make school fit into their lives. In particular, students with families that frequently move or live far from school may view online learning programs as a rich resource. 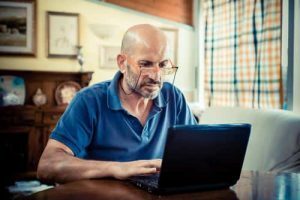 Those who have disabilities, injuries, or illnesses can also utilize online learning programs to stay caught up in school when unable to attend class in person. As a result, web-based education provides alternative opportunities to help K-12 learners from falling behind in school. Online learning programs at the college level usually follow the same academic calendar as the institution facilitating the courses. Some classes are self-paced, while others adhere to a calendar that mirrors the schedule of an on-campus course and it’s corresponding assignments, deadlines, and exams. At the collegiate level, students have the opportunity to take online degree programs for credit at various institutions. Other online education opportunities include OpenCourseware, a web-based publication rich in content from college courses from universities such as the Massachusetts Institute of Technology. With programs like OpenCourseware aiming to make educational resources available to people across the world, everyone has the chance to learn in a more affordable, flexible way. These online learning outlets often require students to watch videos, complete written assignments, and participate in discussions through learning management systems. No matter their location, students who have access to a computer and internet have the essentials to complete online learning courses. This allows those who frequently travel or cannot commute to class to continue their education, often times on a flexible schedule with discounted tuition rates. After taking off years from school, returning to academia can be difficult for adults due to many reasons. From the hassle of commuting to campus for class on top of existing jobs and family obligations, to the stigma of being older in a college classroom, returning to school as an adult can appear impractical and burdensome. But, online education options eliminate these potential barriers and allow adults to complete their education in a way that meets them where they are and and as it best fits into their lives. Taking online classes allows students to more easily prioritize their lives. With this flexibility comes ownership over managing and completing coursework on their own. Those with access to technology — namely, a computer and internet — as well as the self-motivation to incorporate online school into existing commitments is essential for all online learners, especially those balancing jobs, family, and finances. Adults stepping back into education through online programs often find the flexibility of an internet-based platform with a self-driven schedule to be the key to educational success in their current lives.